Thanks, Bill. 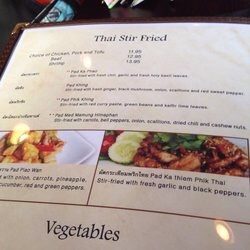 My Kentucky friends will be glad to know about this Thai kitchen! Hi Martha, always good hearing from you and am glad you enjoyed my article on the Nittha Siam Kitchen. It has garnered interest in that great little place; of course it’s gratifying to promote these skilled and gentle people. Thanks for letting your Kentucky friends in on this neighborhood secret! It was an excellent dining experience among the pleasantry of wonderful company. Thank you, B&L. Previous Previous post: Let’s see how the 3 Owls on the Bedspread are doing.